1. The faucet main bodies are made by high quality zinc alloy passed the national standard test. Its function is the same as the brass faucet but the price is more competitive. 3. Refined copper inlet and outlet pipes, water through the leed-free and non - toxic waterways of faucet, ensuring your water health. 4. The kitchen faucets accessories we used must be selected strictly based on low-lead Standard. 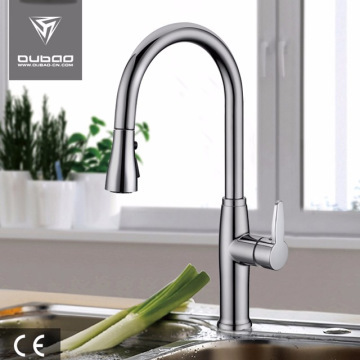 1.1 Oubao sanitary ware hardware co.,ltd was found in 2004, a manufacturer with high quality and good services. Zinc alloy body with Brass Core faucet, which is eco-friendly and durable. 1.2 We now sell our products in all over the world. 1.3 Some of our products are approved by CE. 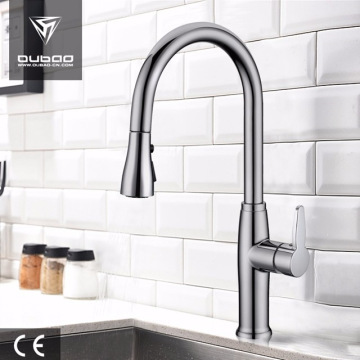 Kaiping Oubao Sanitary Ware Hardware Co., Ltd. was founded in 2004,located in Shuikou town,Kaiping city,China.Factory cover an area of 6500 square meters. Oubao adhere to the"Strive for excellence,advance with times"as the marketing strategies.Our factory base on equality and mutual benifit to establish relationship with our partner. 1.What about the OUBAO LIFE? Kaiping OUBAO is a manufacturer integrated in developing and manufacturing professional sanitary products. 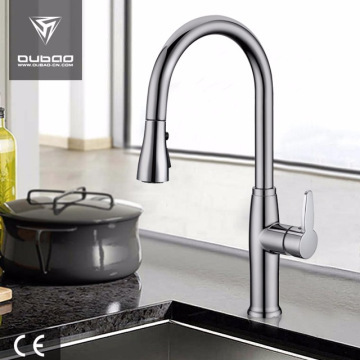 OUBAO LIFE main produce faucet,handle,shower faucet, Bathroom Accessories,shower room,bathroom cabinet. 2. How many years guarantee for our products? It depends on the materials you choose, Generally speaking, 3-5 years for brass body faucets, 1-2 years for zinc faucets.3-5 years for bathroom cabinet/shower room. 4. How about the delivery time? 25 days after receiving the payment. 5. Can we get sample to check quality? Sure, you can get samples to check the quality firstly. 6. How many days for arranging samples? Samples will be prepared in 3-7days. 7. Do you charge for samples and freight? Accodring to our policy, customers need pay for them, we;ll return sample charge to you in official order. 8. What is your payment. T/T, L/C, CASH, PAYPAL, WESTER UNION, ESCROW can be accepted. Delivery time: About 45 days after receiving deposit. Inner packing: cloth bag+color boxOuter packing: brown carton, 5pcs/CTN, Packing can be customized according to customer's requirement. KAIPING OUBAO SANITARY WARE HARDWARE CO.,LTD is a professional manufacturing factory which committed to developing , producing and selling high quality faucet and ancillary products such as kitchen faucet and bathroom faucet ,and bathroom accessories ,shower system with precision core technology.As a top grade ODM / OEM manufacturing supplier, we always devote our services to provide specialized, healthy kitchens and bath products solution in order to promote the development of Chinese sanitary products, create an "innovative" and "precision" new age.OUBAO gain customers' fully recognition because of our strategy "Keep pace with The Times and keep improving" and our heart to heart service concept. Products have passed multiple items international certifications and design patent certifications ( cUPC, NSF-61, Lead Free Plumbing Products, CE ). OUBAO have casting equipment, machining center, automatic precision polishing, grinder and automatic assembly line, first-rate full set laboratory and checkout equipment. With the ability of technology research & development and advanced hardware platform.OUBAO make sure every process is excellent from material control ,designing and developing the mould,casting ,producing ,polishing and Plating.In the future ,OUBAO will insist on quality and creative technology, produce functional and custom-designed products .OUBAO will be your best strategic partner and will bring infinite business opportunity and customized kitchen and bath faucet solution. 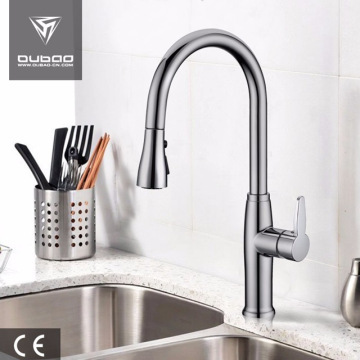 Factory Info: Kaiping Oubao Sanitary Ware Hardware Co., Ltd.
Kaiping Oubao Sanitary Ware Hardware Co., Ltd. is a manufacturer integrating the development and manufacture of professional sanitary products. We mainly produce middle and high class showers, faucets, faucet handles, sanitary fittings and different kinds of products made of zinc alloy. Our company insists on the mission of "making good-quality products", and takes our goal of "creating value for customers", in order to satisfy all kinds of customers. With excellent staff members and advanced equipment, we keep developing different sanitary ware and products made of zinc alloy to meet requirement of every customer.